Little Caesars arena recently opened in Detroit. And not without controversy. Critics of the project have argued for years that the arena was going to be built on the backs of Detroit taxpayers, while the owners of the project, the Ilitch family, profits millions. In fact, the city contributed over $300 million in tax funds and sold over 30 parcels of land for $1 each for the project. A recent story in the Metro Times, “How the Ilitches used ‘dereliction by design’ to get their new Detroit arena,” reminds readers how the family’s real estate arm spent 15 years buying up the properties in the area and let them sit neglected until they were ready to build. Proponents say nothing that has happened was illegal, and in fact the city has willingly supported the plan all along. But this is one point of impasse in the argument. As residents, visitors, citizens we are told to accept that this is how business works. Developers amass money and political power and the rest of us are supposed to be grateful to pay for their projects and profits. We are told it’s the only solution to the problems of urban decay, or given other limited explanations. But as the Metro Times article points out, neighborhoods surrounding the land bought to sit empty in anticipation of construction have revitalized as part of the recovery, particularly within the downtown and Wayne State University areas. 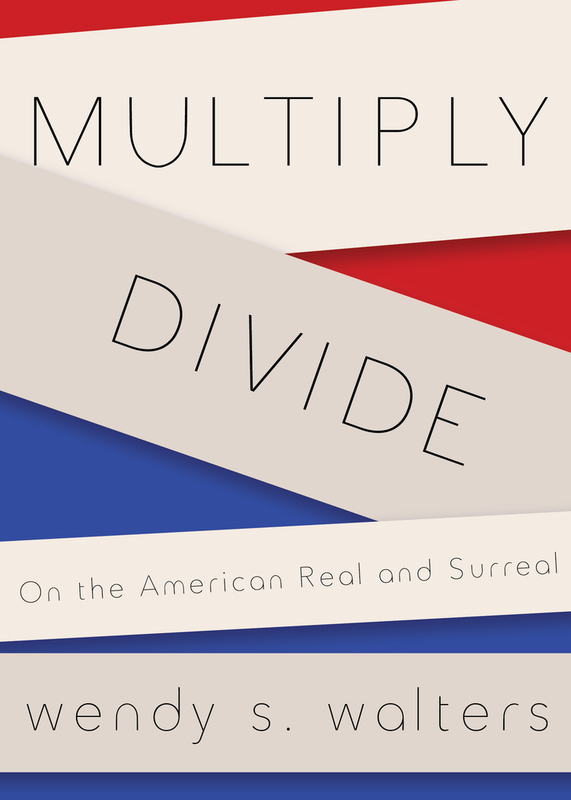 In Multiply/Divide: On the American Read and Surreal, Wendy S. Walters engages topics including urban development, public housing, multiracial identity, and personal history. Reading Multiply/Divide is a reality-check tour through the spatial layers of contemporary Black and multiracial American experience connected through history. Like some of Ta-Nehisi Coates essays, it continually reminds readers that we can’t separate history out and away from the present, but that knowledge and understanding fluctuate between immediate experience and historical perspective. Walters pushes against the form of the essay as genre, alternating fictional and nonfictional pieces to show how reflection on the contemporary can give us different perspectives on history than we might have had before. She offers a note at the beginning that some of the pieces are journalistic, some are fictional, and some are a combination. The stories and essays are often constructed of layered fragments, connected through theme and personal reflection, and present multiple messages simultaneously across a landscape of description and lingering. In some of the essays, Walters describes walking through her neighborhood in NYC and we get this feeling of a journey that sometimes meanders, in the structure of the writing itself. Even the more journalistic pieces detour through the personal, or expand and contract through historical and contextualizing detail to give us the sense of moving through comprehension. Readers are pulled into the intersections of narrative and reportage in ways that teach us how to exist in multiplicity, or to think more about what that means in every day terms. The title seems to reflect on the expansion and fragmentation of history over time and different ways of conceptualizing the contemporary. As individuals we are multiplied and divided by way of history, personal experience, and cultural narratives, and as we continuously turn our view to see from alternate perspectives the spaces between the real and what comes to feel surreal, blur. 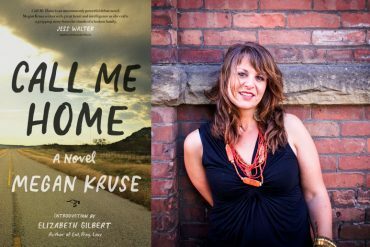 The interspersed fictional pieces in Multiply/Divide offer other perspectives on the truths of our everyday lives, because sometimes fiction can better articulate these. Of course, the boundaries are always subject to shifting and exceeding definition, not unlike the contemporary reality of people trying to survive in the intersections. Public housing in NYC has a complex history that includes progressive intentions in the pursuit of fair housing and social good. Unfortunately, the history also includes the conflicts and consequences of private vs public ownership and management, political fighting, and the nearly total neglect that now seems obviously connected to the fact that the majority of public housing residents are people of color. In two essays Walters writes about living in Manhattanville, that history of social, budgetary, and racial neglect is contrasted with the shiny new glass buildings and multi-million-dollar construction projects. It’s not an uncommon story. In Detroit, many of the neighborhoods were in disrepair, not simply because homeowners couldn’t afford upkeep, but because the city couldn’t keep up either: streets were crumbling, streetlights didn’t work, and empty houses sometimes took up more space on blocks than inhabited ones. For many years, the downtown seemed empty except for sporting or cultural events that brought in crowds who then left again and drove back to wherever they came from. In many of the neighborhoods, some of this is still true. Though the city has been fixing streetlights and taking down hundreds of empty houses leaving acres of open land in their place, much of the revitalization in the downtown area hasn’t spread to the outer neighborhoods. Today loft apartments and condos in some parts of Detroit rival the high rents in other big cities; restaurants and shopping cater to a crowd with enough disposable income to spend on the newest trends. Critics argue that it often looks like gentrification, and gentrification tends to mean white people and businesses with money moving in and pushing out anyone who can’t afford the revitalized price tags. Of course, everyone wants to see improvements in the city. But some ask, at what cost? It’s easy to over-simplify as a choice between letting the city remain in tatters, or be revamped according to neoliberal corporate models of urban planning. But it does often feel like cities are being sold to the highest bidders—or in this case, the lowest bidders—who develop without much pushback from city governments, as if it is the only option. This practice of “dereliction by design”—subjecting whole neighborhoods to decimation over time before clearing and rebuilding—happens at the literal feet of residents who have little voice in the conversation. Read this way, Walters’ alternating between fiction and nonfiction, narratives and fragments suggests a subject caught in a liminal space between the real and surreal. The narrator is often simultaneously working to make sense of the incomprehensible and be content to linger in spaces of unknowing. There aren’t arguments and conclusions, but occasional moments of clarity, and other moments that hold questions in midair. She also taught me to write, by which I mean not simply organizing a set of sentences into a series of paragraphs, but organizing them as a means of investigation. When I was in trouble at school (which was quite often) she would make me write about it. The writing had to answer a series of questions: Why did I feel the need to talk at the same time as my teacher? Why did I not believe that my teacher was entitled to respect? How would I want someone to behave while I was talking? What would I do the next time I felt the urge to talk to my friends during a lesson? I have given you these same assignments. I gave them to you not because I thought they would curb your behavior—they certainly did not curb mine—but because these were the earliest acts of interrogation, of drawing myself into consciousness. Your grandmother was not teaching me how to behave in class. She was teaching me how to ruthlessly interrogate the subject that elicited the most sympathy and rationalizing—myself. Coates’ enacts the idea that between the self and the world exists a continuous space of interrogation, negotiation, confrontation, learning, and writing. Writing is the thing between “the world and me” and through writing one can question, evaluate, and maybe even come to understand more about the world and one’s relationship to that. Reading Multiply/Divide, I sometimes wonder if Walters assumes we know the historical details she references, or if she believes that we are learning along with her, through her own manner of interrogation? This isn’t a criticism but it is to say that she invests a lot in her readers, trusting us to bring our knowledge and experience into the reading to learn along with her. For example, in the essay, “Lonely in America,” Walters delves into and pulls back away from history: slavery in general and her family history as it is descended from slaves. Walters also takes us through two parallel stories about graveyards. First, she visits the cemetery in New Orleans—where earlier generations of her family were buried—to check on damage from the floods and aftermath of Katrina. Minimal discussion of the pervasive structural racism that turned a hurricane into a contemporary human catastrophe for the city’s poor and black leads to a visit to her flood damaged grandmother’s house, and then to the cemetery, to “make sure that our people hadn’t floated away,” she writes; “I took a walk around, and it looked like everybody was still tucked in tight” (8-9). We then follow her to New England, where she introduces us to the New England tour guide for the site of Puddle Dock, a settlement founded in 1630, and writes that “many of wealthiest families in town made their fortunes in “the trade” first by shipping food, lumber, livestock, and other goods to British colonies in the West Indies and then by carrying captured Africans to the Caribbean, Virginia, and Portsmouth” (13); she adds that Charles, the tour guide, “occasionally used the word “servant” but never the word “slave”” in reference to some of the Africans in New England during that time. Over following pages, she describes the history around that distinction, and that although there were in fact many African slaves in New England, some New Englanders continue to refer to them as domestic servants. Walters takes us on a quest for more information after hearing about bodies found under an intersection in Portsmouth, New Hampshire believed to be of African ancestry and buried in the 1700s. The cemetery was originally on the outer edge of town, pushed aside, and then eventually built over and forgotten. While the narrator struggles to articulate a process for having feelings about this history, at times becoming numb instead of angry for example, she also offers detailed descriptions of some of the bodies, or parts of bodies, found under the intersection. These are powerful because we already know they have been ignored and forgotten; there are no headstones, no cemetery, and because the violence of the contemporary (like sewers and infrastructure) literally runs through the coffins and corpses…. This description, inserted within a small list of descriptions of some of the remains found, does what the rest of this essay does: gives us powerful detail and then moves on to the next thing. The detail lingers for us, as readers, in a way that’s both emotional and manageable. That is to say, the narrator brings us in to her process of emotional connection, we encounter the traumatic and violent realities of history lingering in the present, and then we have to process that a bit at a time. In dealing with the layered complexities of African history in America, the surreal (what can’t be fully comprehended) mingles with the real (physical evidence and undisputed history) and we have to spend time recognizing where these blend and separate. The combination of straightforward reflection on the facts gathered, and the glimpses into the narrator’s anxiety about how to feel and comprehend, engages us as readers to immerse ourselves and continue the journey. The subtle shifts in content and form from one piece to another keep us on our toes. Two “Manhattanville” essays—separated by six pieces that alternate between the personal essay and fictional story—weave personal history, environmental justice, racial identity, and public housing history. The first Manhattanville essay begins, “The first time I was mistaken for my son’s nanny, I did not criticize the offending woman’s lack of imagination out loud” (57), and proceeds to reflect on “two-ness” in terms of her son’s identity (African American and Jewish) and in regard to other subjects, explored through scenes that describe walking through the complicated economic and social history of this part of New York City. Another example of a duality that is introduced in the first essay and explored further in part two, is the pair of public housing complexes that seem to have created a culture in the neighborhood, the two complexes in competition, each offering a sense of identity for its residents. She also writes more about the history of public housing in NYC, beginning with mayor LaGuardia’s plan in 1934 to “create legislation for the first municipal housing authority in America.” Post-Depression poverty had risen and the mayor believed that the “slums” were “breeding grounds for social disorders” (161). Occasionally she makes pointed commentary, for example writing, “one strategy for dealing with poverty is to change the conditions that make it possible. Another way is to relocate the poor, so those responsible for creating disparity do not have to face the consequences of it” (163). But this essay also weaves through the personal, and web of physical and historical city context, without declarative statements. Maybe, she seems to say, there are not always statements to be made, and even when there are, what good do they do? In these essays, there are layers of stories and emotions. There’s rarely a thesis and support. Narratives circle around, draw attention to, move away from, settle momentarily in other spaces, and leave us with new ways of perceiving. Through experience and investigation, Walters asks questions that bring us as readers to invest in possible answers. We also have to face the reality of being complicit in the history of racial and economic marginalization and recognize how we participate in narratives that simplify contradictions as ways to understand the world (white/black, rich/poor, etc.). And we become responsible to pay attention to the realities that show us multiple kinds of intersections and layers informed by history. Multiply/Divide calls our attention to the complex simultaneities of the real and surreal. Although we as readers and consumers have learned how to construct ideas and information into easily digestible narratives and to trust the progress of capitalism, Walters shows us the value in becoming open to the fragments and questions, and sitting with those even when it feels hard to manage. Even while the construction of the new tells us progress is good we learn that we have to dive further in to the long version of the story, and spend time there, in order to know more. Or as Walters writes, “when all around me the big pieces keep moving, I have trouble knowing if what I see is real. Am I part of this place or just an observer? Do I play a role in its history, or will I fail to leave any significant mark? Most likely the latter is true, though my ego makes me want to believe otherwise” (173-4). There may be no definitive answers, but like our real lives in the world, the questions are layered, intertextual, subject to ever shifting contexts. That’s not to say a self can’t be grounded, or clear in her sense of identity and politics in the world, but that these are dynamic, complex, and more than single narrative versions repeated verbatim. And like the city’s history of race, housing, and new construction eliding the old, narratives happen over time and across space, in pieces and fragments, not always “neatly” or homogeneously. Often, shiny new glass buildings stand straight up against the old: beautiful and historic, or abandoned and crumbling. The real and surreal always in an intricate dance. Jill Darling has an MFA in creative writing and a Ph.D. in twentieth century literature and cultural studies, and is the author of (re)iteration(s) (Spuyten Duyvil), a geography of syntax (Lavender Ink), Solve For (BlazeVOX, ebooks), begin with may: a series of moments (Finishing Line), and two collaborative chapbooks with Laura Wetherington and Hannah Ensor: at the intersection of 3, and The First Steps are the Deepest. Her critical poetics essays can be found in How2, Something on Paper, Ethos Review, and in The Quint. Darling teaches writing at The University of Michigan-Dearborn.